Do you stream your music? Do you stream episodes of series like ‘Lost’? More importantly: do you pay for these streaming services? Nowadays, people around the world have replaced TV and the radio with streaming. Whether it be Netflix, Hulu, Pandora, or Spotify, people all around the world are taking advantage of this switch. The only problem now is that a majority of those same streaming sites are victims of stolen and pirated content. In comes illegal streaming sites or applications, called “hacked” applications, that make streaming you usually pay for free. For example, MUSO released a magazine last year stating that season 7 of ‘Game of Thrones’ was pirated over a billion times, and about 84% where via illegal streaming sites. What many don’t realize, and often forget, is that nothing in this word is really free; it all has to come at a price. Illegal streaming is instead a double-edged sword and not a blessing. One of the many effects of illegal streaming is that it damages the device you use them from. For example, malware and viruses in both smartphones and laptops come from illegally streaming on a sketchy website. When illegally streaming, a person downloads what they want to watch and then automatically the data deletes itself. Normally, when downloaded from a paid provider, like Netflix, a phone recognizes the data and lets it through because the company is known as safe and secure. When done illegally, a phone notices the data does not come from a very reliable source and warns the user. Why? Because viruses and malware may be downloading as unwanted content and, as a result, damage the phone and its functions. These digital viruses often cause the device to slow down and “lag”, making the phone less effective in everyday use. Even worse, sometime these viruses leave phones open for hackers, rendering your personal information vulnerable. Those who get involved with illegal streaming have an even worse turn out then those that use it. It is illegal to post or distribute any work without the permission of the person or people that own the rights to that work. It does not matter whether it be music or movies, if a person does not have a license to do so they can be found guilty of copyright infringement. This means that you are breaking the copyright laws that are put in place to protect original works and under the Digital Millennium Copyright Act would have to pay a substantial amount of money to the owner of the work you just pirated. 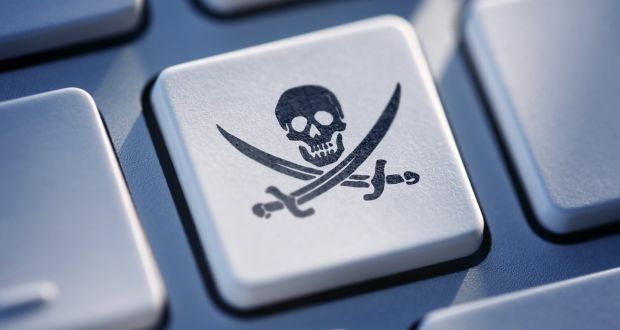 The amount of money one would have to pay is $200 to $150,000 for each work you pirated. Not only that but there could also be a penalty of up to 5 years in prison.